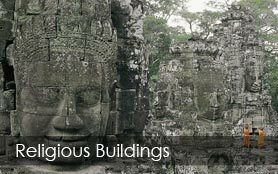 Churches, temples and other religious institutions come in all shapes and sizes, from multi-room mega structures where thousands come together at one time, to congregations that worship in shopping plazas or other less traditional venues, to communities that use shared space and/or may not have a permanent home of their own. Regardless of the structure, these communities have one common need: to create a space where the spirit can flourish and congregants can grow closer to God. 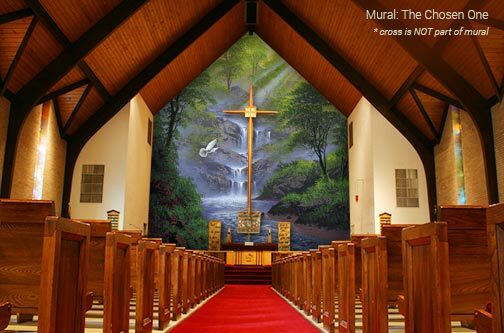 We at Magic Murals have helped hundreds of churches create spiritual and inspirational spaces. We would be honored to assist you and your worshippers in creating the space or spaces that represent the unique connection you have with each other and with God. To shop our collection of Religious and Spiritual Murals, click here. If you don't find what you're looking for, please call us at 877-448-7295 or email us at service@magicmurals.com and we'll be happy to do a custom image search for you and find exactly what you need. Complete the Churches & Religious Institution Request Form below for our exclusive offers. Please include your mailing address to receive our Swatch Kit One, mailed via U.S. Postal Service. 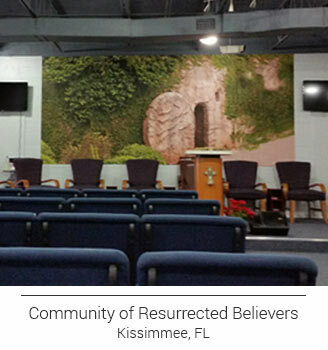 If you're blessed enough to have a large, traditional church with specific rooms or areas for specific services, then you have a wonderful opportunity to use custom-printed wallpaper wall murals to provide each of those spaces with unique décor which specifically compliments those functions. 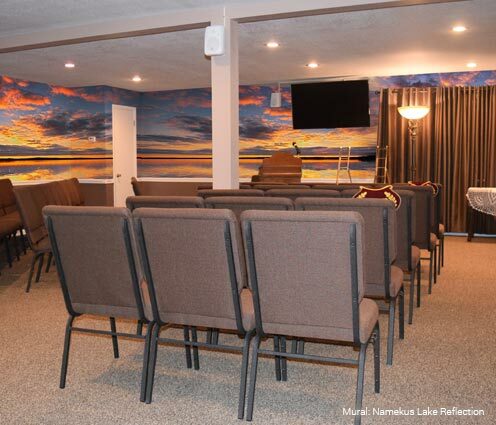 If your house of worship is tighter on space, then ask us how a mural can create more visual space for you or how a series of mounted murals can allow you to create multiple spaces out of one area. Murals depicting the life and crucifixion of Jesus Christ, the Acts of the Apostles or more subtle, spiritual pieces such as scenic landscapes can help to create the warm and welcoming environment you want for your primary worship space. 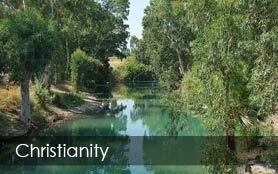 For more traditional churches, we offer scenes of the River Jordan and images of John the Baptist and the baptism of Jesus Christ. 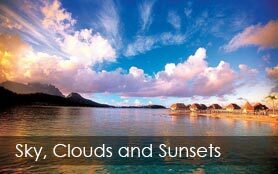 For something more modern, doves alighting or even just reflections of light in water might create the effect you desire. 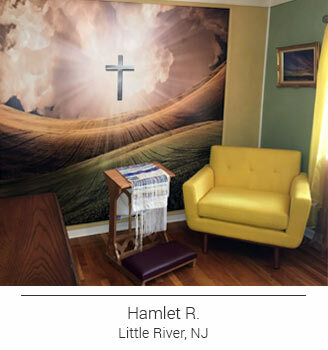 Whether most of your counseling is done in a side chapel, your office or another designated counseling area, we offer a number of religious and spiritual murals that can help comfort and put your congregants at ease. Auditoriums and fellowship spaces like basement meeting rooms, bingo halls, and dining areas can be outfitted with murals that can help set the right tone for the event space. Tell us how your space is used and we can make suggestions based upon what other religious institutions have found successful. As a 21st century minister, you may very well feel like part of your job is theatrical producer. For any theme you can think of, there’s a good chance we have a number of murals that would be perfect for your stage design. One of the benefits of our murals is that they are removable and reusable. As you change from one theme to another, you can save the last mural for future use. We have a large selection of murals depicting Bible stories from Noah’s Ark to the parting of the Red Sea to the birth of Christ and beyond. You’ll find them in cartoonish styles that appeal to your youngest believers to more refined works of art that will appeal to all ages. We carry a number of Holy Land maps and others of historical and religious significance. Also – our Dry Erase White Board murals are perfect for the classroom (and cost significantly less than traditional white boards). Every mural is custom crafted in our North Carolina facility to fit your specific space. We can use your logos and other artwork to create unique to your ministry wall and window coverings unique to your ministry or we can create artwork for you. 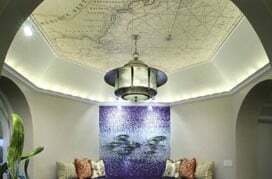 All murals are custom sized and produced to meet your specific dimensions. 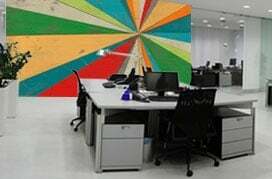 Both our QuikStik™; self-adhesive vinyl and our ProStik™ Type II commercial grade wall coverings are Class A fire-rated, extra durable and easy to clean. 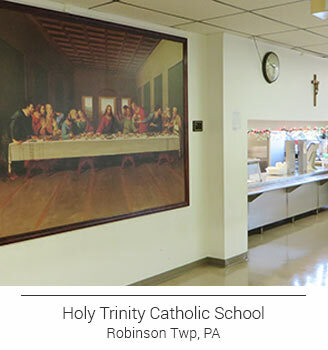 QuikStik™; murals are repositionable, removable and reusable and so easy to install, you and a few of your parishioners can hang them yourselves (bonding your community while you adhere them to the wall). 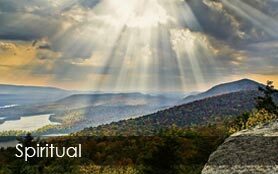 Additionally, we have materials suitable for windows, floors, and other surfaces you may want to utilize for greater spiritual inspiration. For additional information, please visit our Compare Materials section. Our Design and Service Consultants have years of experience working with religious institutions of all shapes, sizes and denominations. While you certainly have ideas of your own, they can share best practices with you and ensure that your design projects go smoothly. All of us at Magic Murals will strive to serve you with an unsurpassed level of care and service. personalization with your graphics, Bible verses, etc. * for exterior, concrete, baptistries, windows, etc.